Arranging species according to their thematic and geographical features, the Brisbane Botanic Gardens is home to a beautiful collection of both native and exotic plants. A couple of weeks ago I planned a trip into the city to visit a number of environmentally friend and sustainable places including the Merriweather Cafe and Reverse Garbage. I also took a trip to the Brisbane Botanic Gardens Mount Coot-tha. I'm a sucker for succulents and I originally visited the Gardens to collect a whole bunch of plant photos, however, I soon realised this luscious place also has a bit of an environmental aspect to it as well. Once being in the middle of all the greenery, I remembered a field trip I went when I was younger and so I decided to look a little more into what the Garden has to offer. I found that several hands on outdoor learning opportunities are available for school and education groups which explore a number of scientific theories and concepts relating to plant diversity. They also cover a range of topics including Australia's unique biodiversity and ecosystems as well as indigenous history and culture. Guided walks are also available for daily visitors to learn about the plants and features of the Gardens. 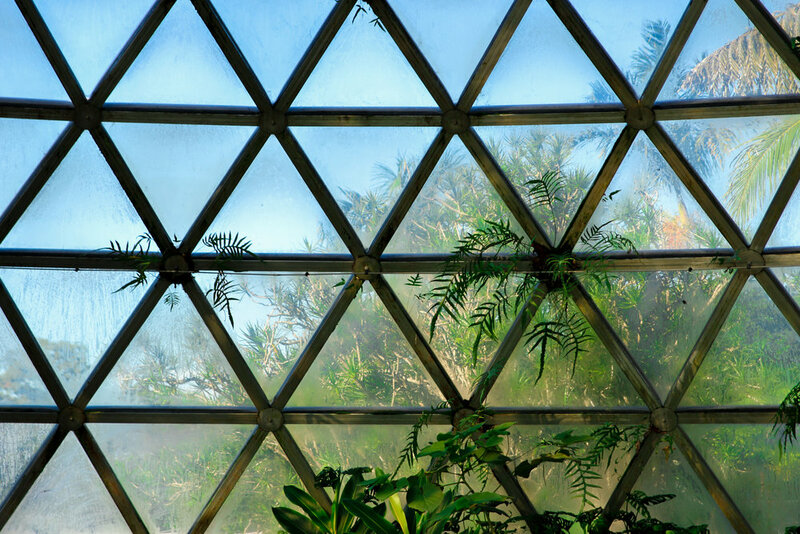 The Gardens also had a Tropical Dome which is a large lattice structure that displays various tropical plant species. The Dome provides a climate close to the natural growing conditions for plants that would normally grow further up North.